Carpenter ants are typically 5/8” in length with a segmented, oval body. These ants are usually black in color but can vary with hints of red. Carpenter ants are large in comparison to other typical household ants and unlike odorous house ants, “carpenter ants” are looking for more than just a food and water source. As their fitting name implies, a carpenter ant will attack wood. These ants have rightfully earned their name as they are pros at excavating wood in order to make room for their nests. For the most part, carpenter ants are not a huge threat to our health. Carpenter ants are capable of biting but their bite is not very painful compared to that of a fire ant. A carpenter ant’s bite feels more like a pinch and generally does not require any medical attention. Carpenter ants are a wood destroying insect which means the biggest cause for concern when you see a carpenter ant is the welfare of your structure. These ants typically start by invading a wet or moldy piece of wood, but they can easily continue their invasion into a healthy wood frame. When a carpenter ant infestation is left untreated, a substantial amount of damage can be accrued from these ants. Carpenter ant damage is evidence that is not easily hidden. If you have noticed little holes in your wooden structures and the piles of sawdust that consequently follow, it is quite possible that you have carpenter ant activity in your home. To successfully eliminate these ants from your property, contact Big Blue Bug Solutions to learn more about our exceptional carpenter ant solutions! Carpenter ants are foragers and can enter your home through cracks around doors, holes around wires and they can even gain access through tree limbs way up high that are touching the side of your home. Most likely, the carpenter ants that are present in your home are originally from an existing colony outside and have invaded your home in search of food and water with a focused mission to set up satellite colonies. Once these ants have entered your home they can be extremely challenging to eliminate on your own. Most do-it-yourself sprays and repellents are ineffective and can expose your family and pets to harmful chemicals if improperly handled. At Big Blue Bug Solutions, we offer effective carpenter ant solutions to property owners in Oxford, MA and the surrounding areas. When you use our effective carpenter ant treatments you can expect a customized treatment plan that will be sure to eliminate any existing carpenter ant issues in the home. After our initial inspection we will also make recommendations on how to keep your home from being attractive to carpenter ants. At Big Blue Bug Solutions, our professionals are carpenter ant control experts. Each of our technicians understands the unique behavior patterns of these pests and they are skilled in formulating individualized plans that will meet your specific carpenter ant needs. We believe in our carpenter ant treatments so much so that we back our solution with a one year carpenter ant warranty! If you are in need of quality carpenter ant control for your home or business, don’t hesitate: contact Big Blue Bug Solutions today! Keep your property clear of scrap wood. Be sure that all cracks, holes and crevices in the exterior are filled. Keep your living space clear of any leftover food or dirty dishes. Store your garbage in a tightly sealed container. Try not to leave your pet's food and water out all the time. Keep your basements, crawl spaces and attics well ventilated to discourage moisture build-up. Eliminate any standing water on your property, including water that may accumulate in old tires, clogged gutters and even in kid’s outdoor toys. Install a gutter system that directs water flow away from your home. Repair or replace damaged or mildewed wood in your home's structure. Deter carpenter ants from making your home theirs! By following these simple pest prevention steps you can save time, money and stress down the road. For more information on the preventative measures you can execute in your home, contact Big Blue Bug Solutions today. If you are searching for outstanding Massachusetts pest control for your home or business, then look no further than Big Blue Bug Solutions! Whether you need your reputation preserved from the harmful effects of bed bugs or if mosquitoes are keeping you from enjoying your summer, Big Blue Bug can help. 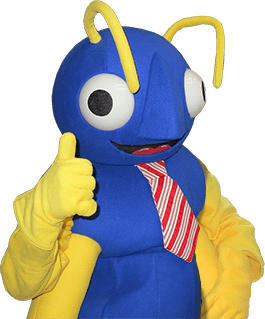 You can trust that Big Blue Bug’sOxford pest control experts will treat you with the highest level of professionalism and will eliminate your home of problem pests. Contact our friendly staff today to learn more about the services available in your area.